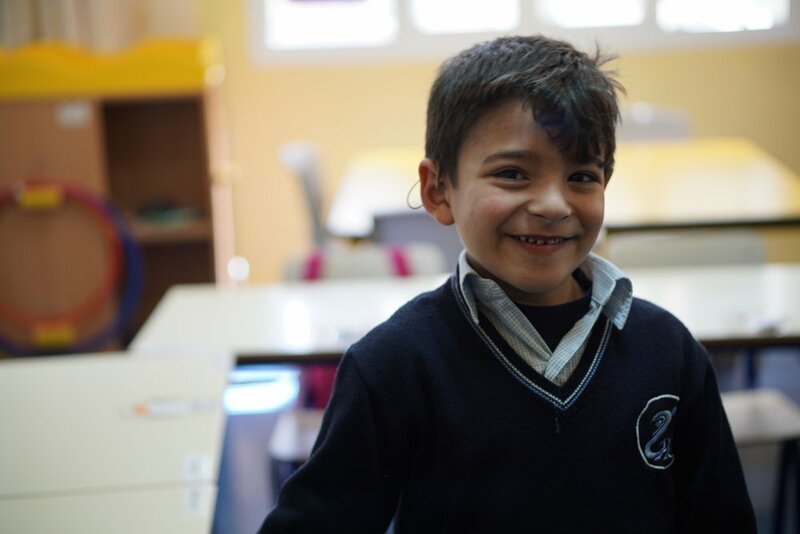 Located in Zahle, an urban center in the Bekaa valley inhabited by around 50,000 people, the Ray of Hope association was established in 1994 to serve children with special needs. The area is largely agricultural, but suffered extensively during the Lebanese Civil War (1975-1990) when many of the vineyard were converted to military posts. Consequently, Zahle has had very limited economic development and very few job opportunities, which has put a big strain on the development of social services in the city. Due to the increasing need in the region for a special institution that provides education to children suffering different degrees of mental and/or physical disabilities, the Ray of Hope association was established. It is run by Ms. Amal Chebli, a pioneer in the field of special needs education along with a board of trustees and it is fully accredited by the Ministry of Social Services in Lebanon. Ray of Hope focuses on developing the mental and physical capacities of its beneficiaries to ensure their full potential and integration with society. They provide for medical, psychological, psychiatric and social needs as well as providing adaptive education. They also provide opportunities to develop autonomy and social networks to help teach them life skills in agricultural work and various artisanal workshops. Ray of Hope’s operations have previously been conducted in a leased space (and now an additional leased annex) in the center of Zahle. This space was wholly unsuited to the mission and size of the student body. It was located on a main road without a proper entrance or parking area, which risked the safety of students forced to commute by bus. Further, the dense residential area association had noise restrictions the association the school was unable to comply with due to the mental disabilities of its students. There was no outdoor play space or elevator. Thanks to funding through local and international donors the Ray of Hope association has been able to purchase land and begin construction on a suitable building for its students that will consist of a 3-story building with a 300 person capacity, classrooms, a paramedical center, multi-purpose hall, workshops, exposition hall, and a refectory. In order to move the students into the new space as soon as possible several parts of construction had to be completed. This included the construction of a kitchen (some special-needs students require special food and care). Thanks to your generosity, $50,000 was raised to equip the kitchen with a water filter, sinks, freezers, counters, fridges, an oven, burners, and hood. This type of facility is especially necessary given that the area lacks such resources. All donations to this project were generously matched by GPR Group, LLC. Along with an initial donation, Glass Projects Resource supported the project with their pledge that every dollar you gave was worth two.